It’s with humble acceptance of God’s will that we announce the passing to Glory of James Gichuru Gitau of Githunguri Kiambu on 6/2/2019. Son of Mrs. Alice Wambui Samuel. 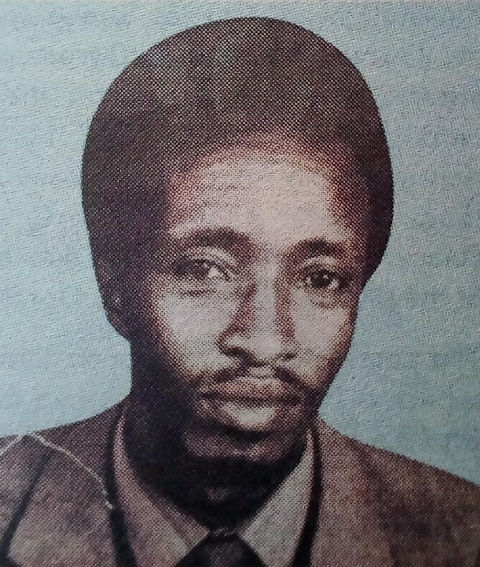 Father of Thomas Gitau, Francis Mungura, the late Daniel Waweru and George Ng’ethe. 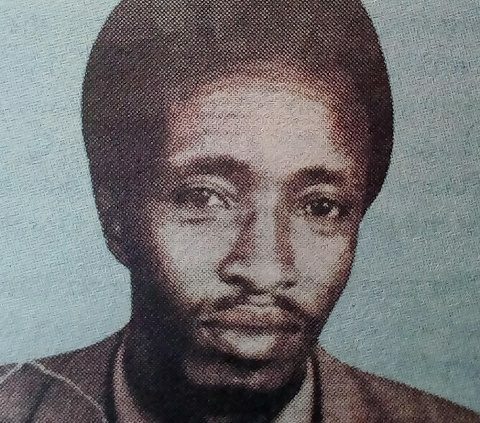 Brother of Gathoni Mungai, Tom Gitau, Rosemary Nyaguthii, the late Daniel Waweru, Peter Mbuthia, Matthew Ng’ethe and Robert Mungai. Loving uncle & Grandfather of many. Family and friends are meeting daily at 4.00pm for prayers at their home at Githunguri Kiambu. The cortege leaves Mukoe Funeral home on Wednesday 13th February, 2019 at 9.30am. 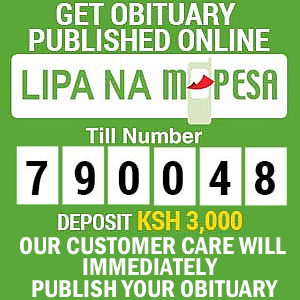 The funeral service and burial will be at their home near AIPCA Kibia Church.